Jason and Medea are part of the National Deep Submergence Facility (NDSF). 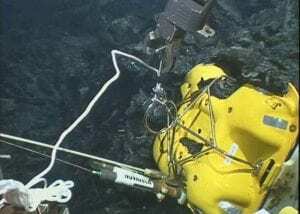 Jason and Medea are a remotely operated vehicle (ROV) system designed and built by WHOI’s Deep Submergence Laboratory and funded by the National Science Foundation to allow scientists to have access to the seafloor without leaving the deck of a ship. 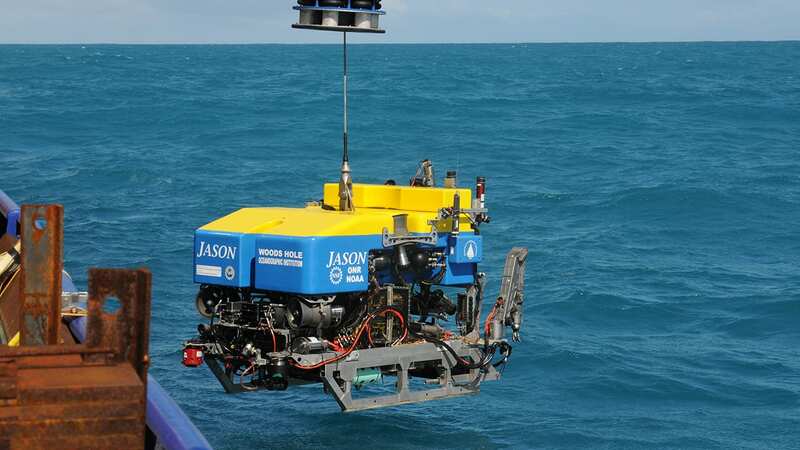 Jason is a two-body ROV system. A 10-kilometer (6-mile) reinforced fiber-optic cable delivers electrical power and commands from the ship through Medea and down to Jason, which then returns data and live video imagery. Medea serves as a shock absorber, buffering Jason from the movements of the ship, while providing lighting and a bird’s eye view of the ROV during seafloor operations. 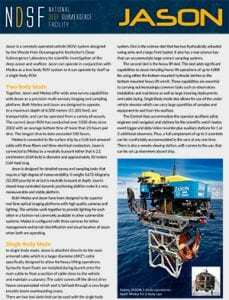 The ROV also has had a successful side career in underwater archeology. 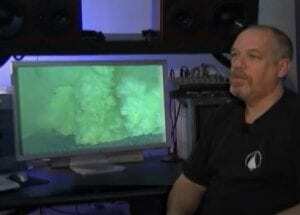 A prototype version named Jason Jr. was used to survey the wreck of RMS Titanic, and the fully developed Jason visited a 1,600-year-old Roman trading ship in 1989. Jason and Medea are named for the adventurous ocean explorer of Greek mythology and for his wife. When a trigger mechanism failed to release a key deep-sea instrument, WHOI physical oceanographer Ruth Curry brought together a gung-ho team to try to retrieve it. 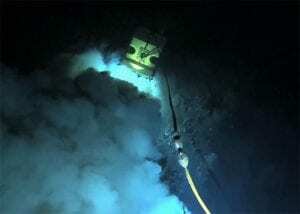 Undersea robot provides a rare close-up view of a deep-sea eruption. The vehicle recovers instruments stuck in lava. April 3-17, 2009 - An international science team studied an erupting undersea volcano near the Island of Guam and captured dramatic new video and still images of the eruptive activity of NW Rota-1.